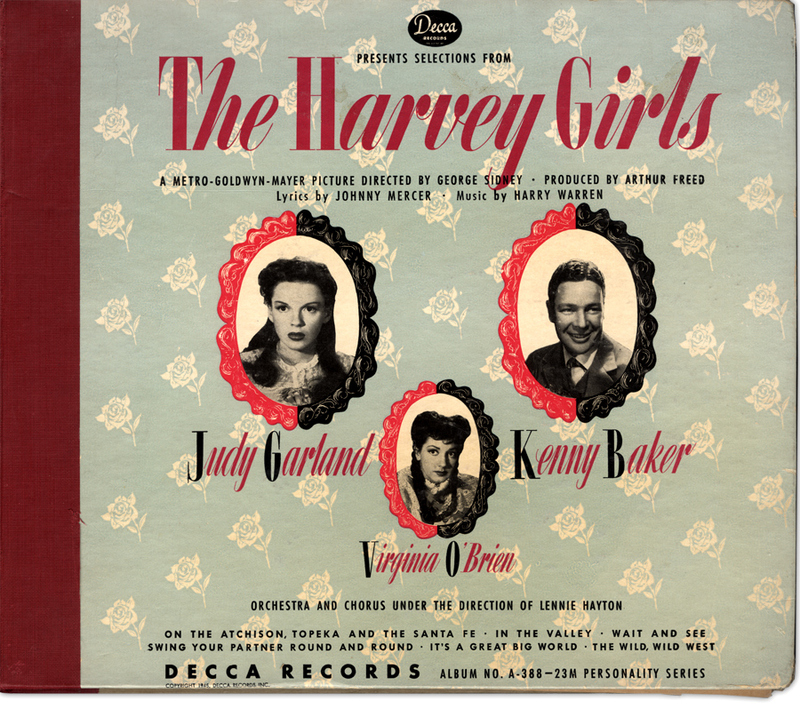 This is the third and last of Judy's Decca cast albums. 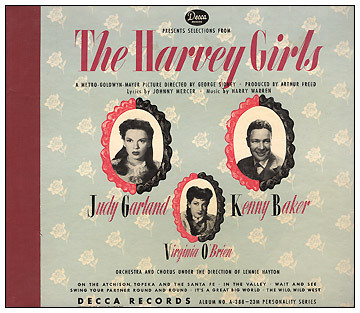 What makes this album even more special is the care with which Decca took to emulate the performances in the film The Harvey Girls (1946). 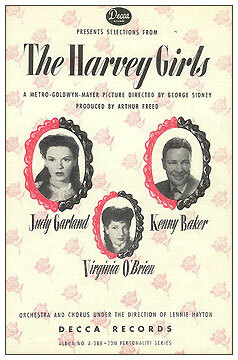 Most of the film's cast was involved, including Kenny Baker and the wonderful Virginia O'Brien. 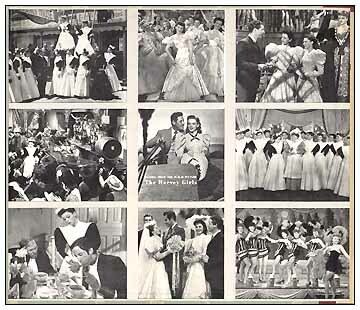 The arrangements were identical to those used in the film because Decca brought in MGM's Musical Director Lennie Hayton and Vocal Arranger Kay Thompson to repeat the work they had done for the soundtrack prerecordings. However, and just to make things confusing, when Decca began to re-release Judy's songs on LP in the 50s, they used the original, rejected version of Part 2 (from 05-15-1945). The originally released (on this 78) September 10, 1945 version remained unreleased on American LP until 1984 when Decca included it on the LP "From The Decca Vaults" (MCA-907). On July 7, 1945 while on her honeymoon with Vincente Minnelli in New York City, Judy also recorded a more 40's style version of "Atchison" with The Merry Macs for release as a single. 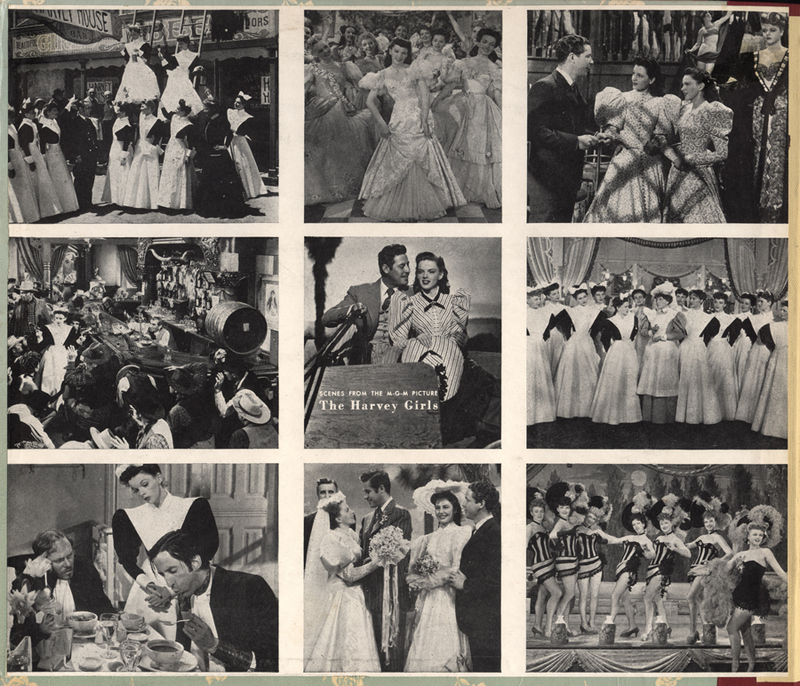 "March Of The Doagies" was recorded on May 15, 1945 but was never released by Decca because it was taken out of the film so therefore it was taken out of the Decca cast album. It also had it's LP premiere in 1984 on "From The Decca Vaults" (MCA-907). 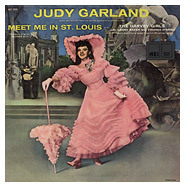 Decca released these Harvey recordings on LP with Meet Me In St. Louis in 1959 on Decca DL 8498 and then in 1978 on the MCA owned AEI label, AEI 3101. In 1996, MCA added the Girl Crazy songs and "March Of The Doagies", and released the CD version of the LP (using the LP artwork) as "The Complete Decca Original Cast Recordings" (MCAD-11491). However, that CD release finally "reinstates" (so to speak) the original 09-10-45 version of "Atchison", coupled with the "Kay Thomson Chorus" intro as first released on the 1994 boxed set. Photo above at left: The Decca Cast Album LP. Album cover image, image from the inside of the album, and image of the LP cover from the collection of Scott Brogan. Album insert image at left from the collection of Eric Hemphill.